Frequentis develops and markets communication and information solutions for safety-critical applications. It offers its control centre solutions, products and services world-wide to a broad range of customers acting in various mission-critical fields. Vital cornerstone for all business activities of Frequentis is its voice communication system. 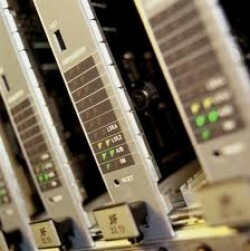 Voice communication devices are required and can be found in almost every mission critical control centre. The company’s core business is civil air traffic management. where its voice communication systems brought Frequentis to the position of a world’s market leader for air traffic control. The same qualities that drive this success allow Frequentis to offer communication and information systems to other customers in defence, public safety, public transport and maritime markets. Examples include deployable communication systems for military operations, command and control centre technologies for the emergency services, “tracking & tracing” systems for shipping authorities and GSM-R fixed terminal systems for national railways. With headquarters in Vienna, Austria, Frequentis has an export share of 90%, reflecting the global nature of the business. The company employs about 850 staff, with subsidiaries, regional offices and representatives in over 50 countries. Frequentis develops, builds and installs industry-leading communication, information and tower automation systems for managing air traffic. Our leading role entails our high commitment for innovation and future orientation – as is to be seen in our participation in the SESAR Joint Undertaking. Innovative products, drawing on proven technology, state-of-the-art usability and decades of experience that ensure the highest safety standards for air traffic … and optimal working conditions for operators. Customised solutions, based on in-depth understanding of our customers’ specific requirements and the nuances of air traffic control. Cost-effective and flexible design, supporting integration with new and legacy systems … protecting your investments into the future. 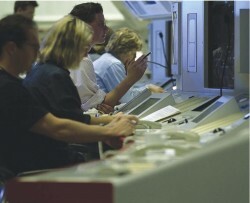 In the air traffic control community, Frequentis is a synonym for voice communication systems. Operators working on more than 12,000 positions across the globe rely on our technology, making us the world’s leading supplier. We provide civil and military communication solutions for any size of operation, from small standalone control towers to the largest networked ATM centres. Our voice communication systems are complemented by backup and simulation systems, voice/data recording systems, as well as intelligent voice/data gateways and network nodes. Modern and safe air traffic control combines communication and decision technology with the information needed to support and execute quick and right decisions. Frequentis offers customisable information systems that deliver and display information in the most efficient and safe way for the users. Our solutions draw on the experience and expertise that saw a Frequentis-led team develop the world’s largest Aeronautical Information System (EAD) for EUROCONTROL. With a growing variety of tower information flows, tasks and input systems, the possibility for human error increases accordingly. Inefficient work areas become cluttered with multiple screens and devices. Frequentis tower automation systems solve the problem with a set of tower and airport tools (TAPtools) covering all required systems from electronic flight strips to lighting control. These tools integrate with each other and third-party products through a standard user interface, designed to give control back to the operator.